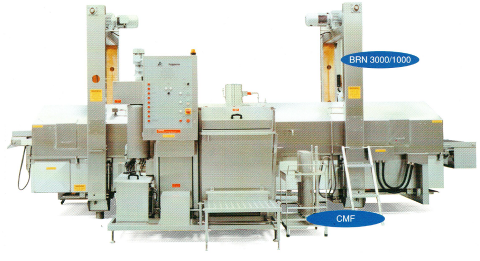 The CFS® fryers type BRN 3000/700-E, zijn ontworpen om producten te bakken en garen in vet of olie. De kooktijd en de olie temperatuur bepalen het kookproces, om zo een optimaal product en een optimaal rendement te krijgen. The basic price of the fryer does not include a fire extinguishing system which may be required for the operation of the machine. These regulations are different in each country. A fire extinguishing system is quoted separately. Without fire extinguishing system the machine can only be delivered without CE mark and we are not liable for the use of the machine.